The 17.3-inch Fusion5 All-in-One Desktop PC (AIO PC) reforms the concept of home desktop pc. The extremely sleek design AIO PC, the 'space saving design' keyboard and the 'teeny-tiny' mouse is an ideal addition for your daily computer needs. Adjust the screen as per your choice. 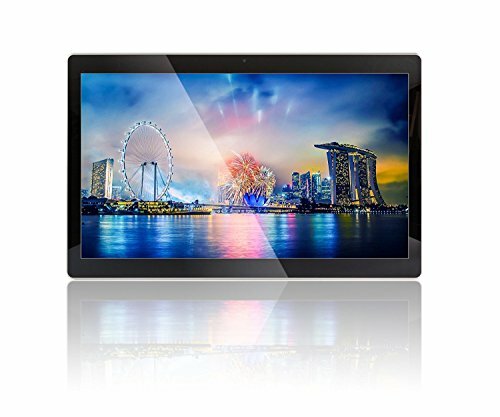 A very high quality screen display with built-in HD webcam, MIC and Speakers. The AIO PC is also equipped with a HDMI port and USB ports (USB 2.0 and 2 ports of USB 3.0). Extremely light and easy to carry around (with a built in battery, you can go completely cordless if needed for hours and hours) to kitchen or to one room from another room. Ultra Slim design - Just 10mm thickness towards the edge. Extremely light in weight and easy to carry around. Space saving design with just one Adapter Cable to power the PC and a built in battery can make this AIO PC work without a cable for hours and hours. Weighing about 2.2kgs, you can just carry around your house. Terrific Spec: 4GB DDRIII RAM, 500GB HDD and 32GB (eMMC) makes this computer powerful enough to handle everyday tasks. 12 MONTHS USA WARRANTY AND SERVICE CENTRE ASSISTANCE - Fusion5 is honouring warranties since 2011. We have the upmost confidence in our product range so much so that we offer a full 12 month USA warranty period, applicable to our USA Service Centre.